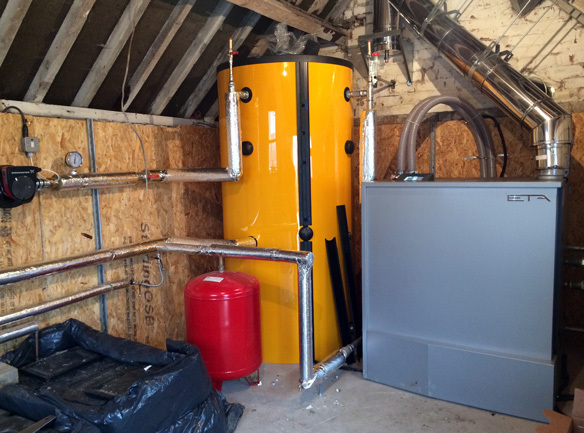 A 32kW ETA domestic biomass pellet boiler and buffer tank in Llangollen. 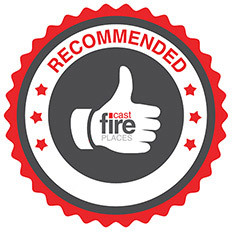 The installation cost the customer £31000, which included fitting a new unvented hot water cylinder, major alterations to internal plumbing and radiators, fitting of accumulator tanks and pressurised pump and an external pellet silo. We used top quality boiler, buffer, cylinder and all pipe, fittings, valves and insulation etc. The customer is receiving £42395 from the domestic RHI scheme and is saving 60% on the cost of his fuel compared to using oil.